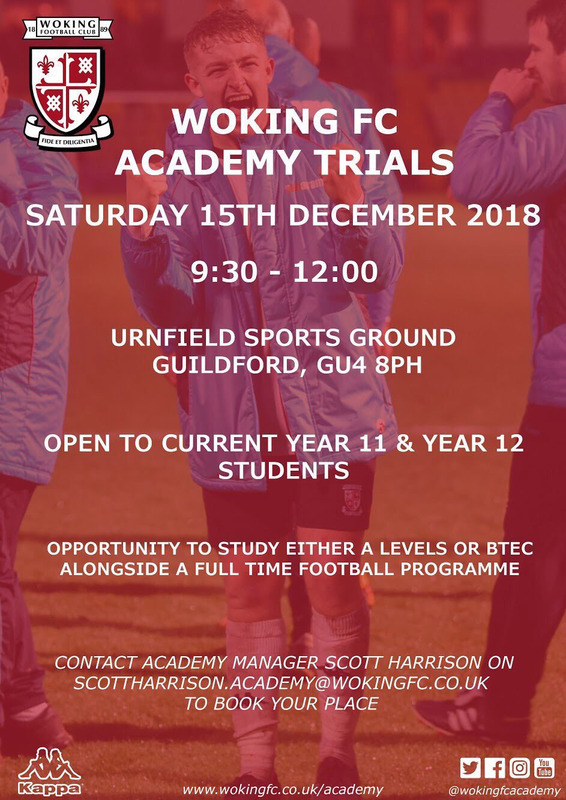 Woking Football Club's Academy will be holding trials on Saturday 15th December, 9.30am - 12pm. The trials will take place at Urnfield Sports Ground, Guildford, GU4 8PH, and are open to current year 11 & 12 students. Please contact Academy Manager, Scott Harrison, on scottharrison.academy@wokingfc.co.uk to book your place.